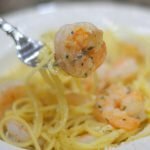 Shrimp Scampi with a Lemon Spaghetti is an easy dinner that is full of delicious lemony flavor and can be on the table in 30 minutes. 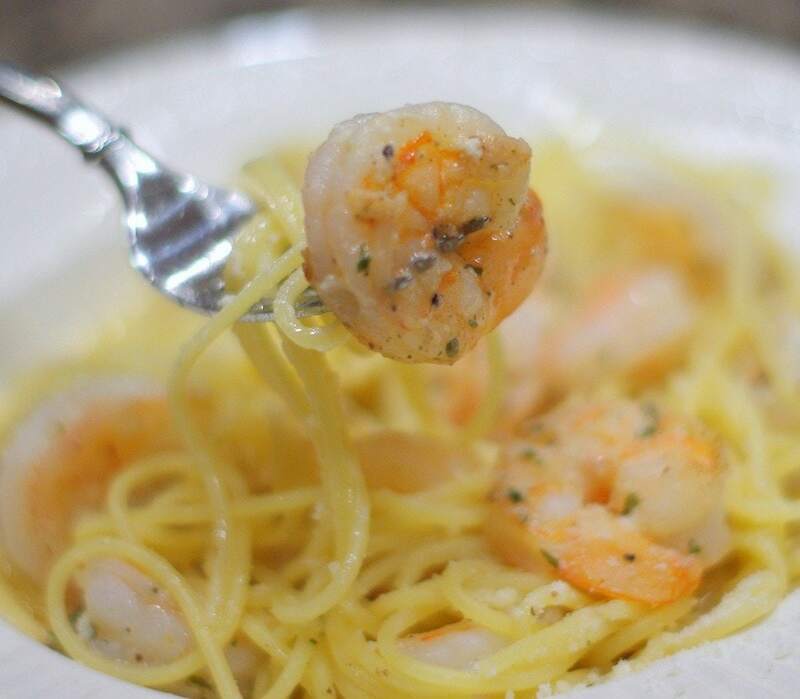 The shrimp are sweet and the spaghetti is tangy. What’s not to love. Serve this one up for your sweetheart this Valentine’s Day. Spaghetti with lemon and Parmesan is just too delicious to eat alone. Add shrimp to this dish to make it restaurant worthy. Giada is one of my favorite chefs to follow and what I love most about her cooking is that her recipes are easy, with simple ingredients and can be whipped up in no time. She has several variations of lemon spaghetti and they are all delicious. If you love the taste of lemons, this is a winner. Citrus and seafood make up this dish and it can be served in under 30 minutes. 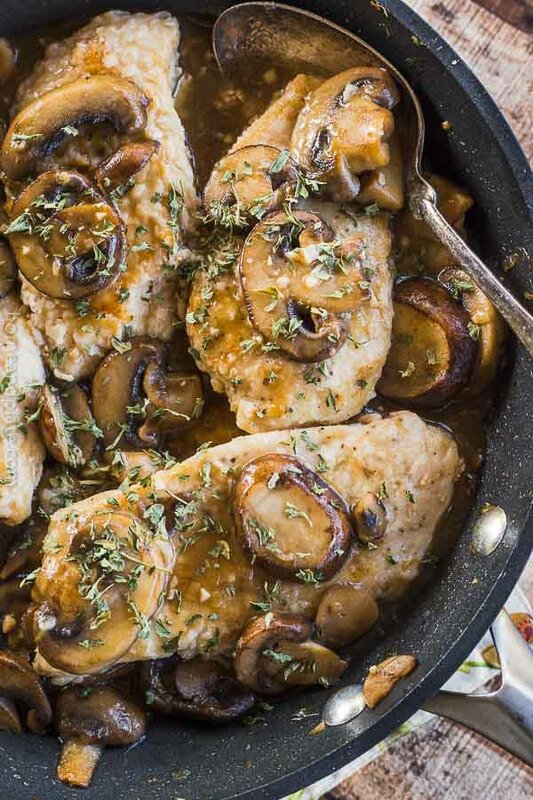 Pair it with a bottle of Sauvignon Blanc for a romantic meal or make a quick meal for the family. Cook the spaghetti according to the package directions. Once cooked al dente, drain the pasta being sure to reserve one cup of the cooking liquid. Over medium heat, melt the butter and add the shrimp. Season the shrimp with salt, pepper and parsley. Cook the shrimp for about four minutes per side. Set aside. In a separate bowl, mix together the oil, Parmesan cheese, lemon juice and zest. 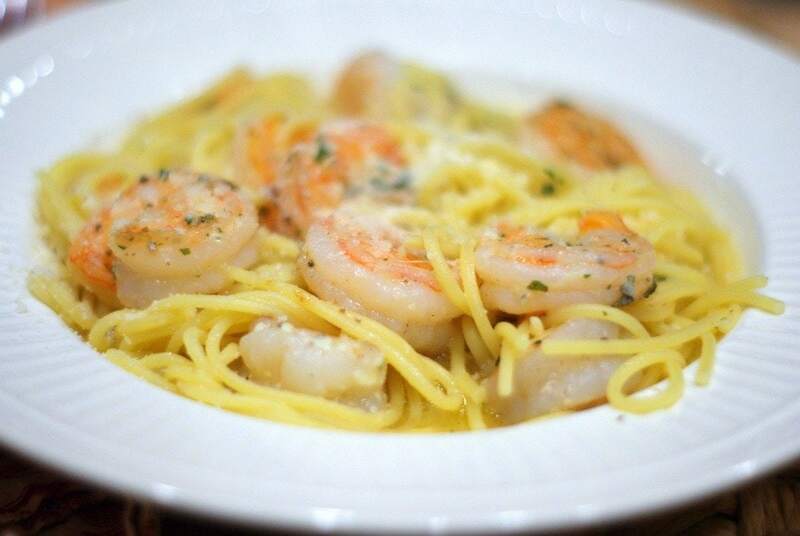 Toss the pasta and shrimp with the lemon sauce adding some of the cooking liquid to moisten as needed. 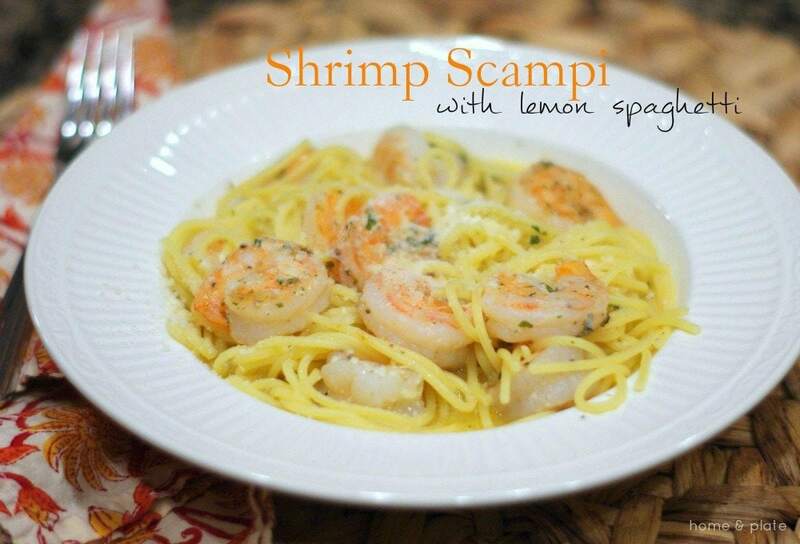 I love a quick and easy pasta meal for dinner…and this shrimp scampi sounds delicious! And now that the weather is getting warmer, I’ve been craving lemon like crazy. Yum! Me too! I am a big fan of lemons and it gives great flavor to the spaghetti. Thanks for visiting. I’ve got all this shrimp in the freezer only to have my spouse say ‘you know, I really don’t like shrimp’. Sigh. Man needs to go on a business trip or deploy or something so the kids and I can feast. This looks terrific and I bet the shrimp and lemon flavors are just wonderful together! Kristen…you are too funny. Make his with chicken! Love it.